So good they named it twice, at least they do so nowadays. Nobody can ever argue with its long-suffering citizens that Derry-Londonderry won the race to be the first ever UK City of Culture. More importantly, in the course of the last twelve months, it has lived up to the name by proving how a title, put to good use, can help to change the image and self-esteem of a place. Before reflecting on what the city has achieved, it’s worth reminding ourselves that the inspiration for the idea to designate a UK City of Culture emerged from the success of Liverpool's year as European Capital of Culture in 2008. In 1985, Greece’s Minister of Culture the former actress Melina Mercouri (along with her French counterpart Jack Lang) had the idea of designating a Capital of Culture. Its purpose would be “to bring Europeans closer together by highlighting the richness and diversity of European cultures and raising awareness of their common history and values.” Bla bla bla. Despite the gobbledegook of euro-speak, Athens emerged as the inspired choice to be Europe’s inaugural city of culture. Two UK and two Irish cities have held the title. They are, respectively, Glasgow and Liverpool, and Dublin and Cork. The European title is conferred annually. The Council of Ministers of the European Union formally designates European Capitals of Culture. More than 40 cities have been designated so far. Since 1999 when six cities were chosen, more than one city has been selected each year. In July 2009, the UK’s Culture Secretary announced a competition to select the first UK City of Culture. Such was the interest that 14 cities applied, with Birmingham, Derry, Norwich and Sheffield shortlisted. 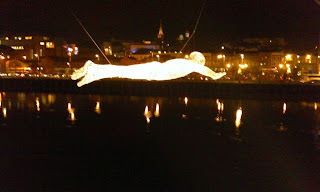 It was announced in July 2010 that Derry/Londonderry had seen off the competition and that it would be UK City of Culture for 2013. Unlike the promiscuity of the European designation, the next UK City of Culture will not explode into action until 2017. On 20 Nov 2013, it was announced that Hull had won the successor award having beaten bids from Dundee, Leicester and Swansea. It has a big act to follow. A strong case can be made to claim that the UK title is 16 times more valuable than the European equivalent. My rationale is that based on the fact that the UK title has a rarity value, being accorded only once every four years. By contrast, the EU accolade is conferred on at least two and sometimes more cities every single year. 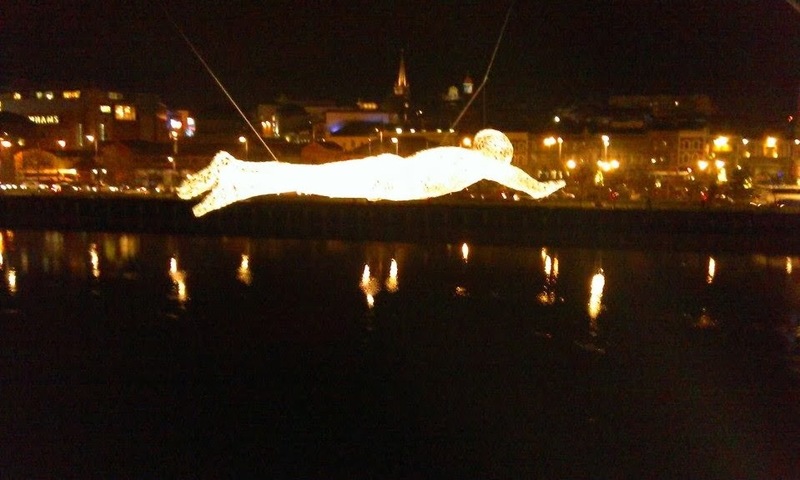 Lest we forget, Derry has something important in common with the cradle of civilisation itself, Athens. The cities share the unique distinction as being the inaugural and sole recipient of an urban cultural honorarium. The arts played a significant part in countering the grimness of the violent division in Northern Ireland. In the bad days they brought people together to support and enjoy constructive activities like amateur dramatics, arts festivals, and exhibitions. Nowadays, the arts provide an outlet for celebrating creativity in a more peaceful environment. Public support is the payback for those who have taken the risk to build new venues and stage events as well as for the talented performers who enrich our lives. If our second city is good enough to be designated UK City of Culture, it deserves everybody’s backing. I attended three events in Derry-Londonderry 2013 – not many in percentage terms, and certainly not enough. In retrospect, I have a long list of events I regret missing. This includes the Return of Colmcille (directed by the writer of the Olympics opening ceremony Frank Cottrell Boyce), the visit of the Royal Ballet, the linking of the two cities to mark the 400th anniversary of the city walls with simultaneous music concerts in the Guildhalls London and Derry, the Poet and Piper concert Seamus Heaney and Liam O’Flynn a couple of weeks before the Nobel poet’s death, the Field Day Theatre Company’s performance of Sam Shepherd’s work A Particle of Dread with the American playwright in attendance, and the closing concert spectacular with Shaun Davey’s Relief of Derry Symphony featuring the Ulster Orchestra and a plethora of pipers. The official brochure listed approximately 350 events over an intensive 12 months of programming. Our choices were, by all accounts, among the most popular and well attended. We had always intended to see the Turner Prize exhibition and also the Lumière spectacle, both scheduled for the latter end of the year. As preparation and to get our bearings, we also decided to begin by making a summer visit during the Fleadh Cheoil, the festival of music (11-18 August). This was a first, not just for Derry, but for Northern Ireland. Never before had Comhaltas Ceoltóirí Éireann, the Society of Musicians of Ireland, agreed in all of its 60 years to stage its flagship event anywhere on the northern side of the border. If there were any doubters, they were emphatically proven wrong as all previous records for visitor numbers at a Fleadh were broken. The programme had anticipated 300,000 visitors. In fact, it was announced at the end of the festive week that 470,000 people had attended events. The Fleadh’s raison d’être is the organising of competitions for the most talented amateur musicians and singers. Competing is the life-blood of the festival. There were visiting music-makers from faraway places including the USA and New Zealand, as well as from neighbouring countries like Scotland and England. All were all made to feel a part of this most lively of festivals, adding an international dimension to proceedings. And when professional performers join in the proceedings - stars like singer Cara Dillon, the folk group Dervish, not to mention the master uileann piper Liam O’Flynn accompanying Seamus Heaney - audiences know that something extra special is happening. The nightly coverage of the Fleadh on TG4, the small and impressive Galway-based television station captured the exuberant joy and variety of artistry on display. The later fly-on-the-wall documentary series by BBC NI TV provided insight into the efforts made by youthful performers competing to qualify in the Fleadh, illustrating the enormous effort and talent required just to earn the right to get there. An advantage of staging the Fleadh Cheoil as part of the UK City of Culture is that it added Gaelic colour to complement the imported and international events. When I visit the UK’s other celtic regions, such as Northumbria, Scotland, Wales, Cornwall or the Isle of Man, I expect to hear their folk idioms. Staging the Fleadh with such aplomb was an example of Derry playing to one of its own strengths, showing outsiders its local flavours. My wife and I travelled by train from Belfast. This journey reveals the scenic splendour of the north coast blazing in summer glory as the track routes itself as close as possible to the pretty beaches and the sea. The climax comes in the form of the majestic setting of the cultured city itself sitting proudly on the banks of the River Foyle. Our first task on arriving is to walk about a mile uphill near the River Foyle and down another road to find the newly regenerated Ebrington Square. This property had been occupied by the Army during the Troubles. The site has been the venue for much artistic activity during the city’s big year, as host to events like the city’s first ever military tattoo and BBC Radio 1’s Big Weekend, a free festival of pop music which attracted enormous crowds. Our walking tour continued with a hike across the modern and handsome Peace Bridge. It provides a practical link for pedestrians across the river linking the Guildhill to Ebrington Barracks. Crucially, it is also a metaphorical bridge across the sectarian divide. On the other side of the river we arrive at one of the city’s best known landmarks, the neo-Gothic Guildhall, dazzlingly refurbished and housing an exhibition telling the story of the city’s history. We notice that its largest room is today being used as a concert venue, with a group of folk musicians from the Scottish Highlands being recorded for television. A key feature of a Fleadh Cheoil is the impromptu performances out in the open air. My photographs give some impression of the convivial atmosphere created by musicians of a city en fete, a very public showing of its cultural face. Free entertainment to lighten the effort of a walking tour. After lunch in a restaurant near the Guildhall, endearingly called the Legenderry, we decide to walk the city walls. I had played down their appearance and scale to my wife telling her that she might be disappointed having recently trekked around the enormous walls of Dubrovnik in Croatia, a UNESCO World Heritage Site. I’m glad I did so because, as I hoped, she was impressed. Her surprise was not just because of their preservation, but also because of the numerous places of interest along the route – such as St Columb’s Church of Ireland Cathedral and the modern craft village. These walls are a cultural asset, unique in Northern Ireland and a real attraction for local people and visitors. On our return to the city a couple of months later, our familiarity with the geography meant we were able to stride confidently to Ebrington Barracks to see the much heralded Turner prize. This was the first time the event had ever been staged outside England. We wanted to view the exhibits ourselves before the judges’ decision in early November. Given that the art shortlisted for the Turner Prize is regarded by many as unconventional, perhaps radical, and often intended to challenge orthodoxies, it was encouraging to observe the large numbers of people flocking to the gallery. In fact, about an hour after we arrived, I noticed a sizeable queue outside. Because the gallery had reached its capacity, people had to wait for others to leave. The atmosphere of happiness in the room housing David Shrigley’s’s tall male sculpture seemed infectious. The artist had invited people to participate. The response was everywhere, as evidenced by the artistic impressions of the naked man lining the walls, and plenty more people sketching. Everybody appeared to be involved, this was art communicating with the audience, and all I saw was smiling faces. What struck me was that the city itself became the exhibit. And what a gorgeous spectacle it was. One commentator, however, was displeased that the city’s street lights, shop lights, festive decorations and traffic distracted from the dazzle. Her favourite work was by the Polish artist Krzysztof Wodiczko who recorded ordinary people talking about the Troubles. "Impossible to walk away from these stories of bullets and bombs, of neighbours at war, of terrible poverty, of the uselessness of politicians." Because the event with its 17 installations was a visual wonder, the best way to portray it is with pictures. My visit was on the final day of the event. Apart from the beauty of the art, my lasting impression was of the sheer volume of people everywhere. It seemed like the entire population of the city (and far beyond) came out to stroll the streets on a cool but essentially pleasant winter’s evening. There were so many people crossing the peace bridge - bedecked with French artist Cédric Le Borgne's floating Les Voyageurs - that at one point I thought I would miss the last train back to Belfast. People, as the cliché has it, voted with their feet. As Belfast was being distracted by flagging protests on the previous day, its smaller sister showed the UK and Ireland how creativity unites and uplifts. Quite a contrast as the silent majority had come to sample the joy of art. The citizens were warmly welcoming their visitors and embracing the concept of being the first ever UK city of culture. Nothing was remotely threatening as local people, families and visitors marvelled at an enlightening experience. Just like 2012, before and after the Olympic Games in London, there is a continuing debate about the legacy that the last 12 months will bequeath. Much of what I have heard is negative, concentrating on plans to remove the expensive new Venue at the Ebrington Barracks site and the proposed conversion of the Turner Prize galleries to offices. There have also been arguments about issues like financial arrangements and marketing. Ignorance, as lawyers say, is no defence. The programme was widely publicised, brochures published and full details also available on internet sites. There was also a helpful ex-post 30 minute video published every month to remind us of what was happening. From my experience in arts promotion, one serendipitous sign of success is a bandwagon effect. Organisers can sense this when small unintended consequences happen. One such example is the emotional response of Carly Simon on learning that her anthemic song Let the River Run "has now become a theme song for Derry." I take my cue to judge the culture year from what I observed with my eyes and ears and other senses. Because the programme offered so much quality and because the events I attended were consistently excellent and well-attended, I want to congratulate the organisers. Despite the managerial spats and the rows about the future of Ebrington Barracks there can be no dispute that the year has been a huge success. The level of public support and hotel occupancy provide quantitative evidence. I have never seen so many people at any arts event as the vast throngs who attended the Lumière - and no wonder. Numbers, however, are not enough as they tell only a part of the story. Qualitative evidence of success is seen in the inestimable public relations success for Derry portraying positive images day after day. This was a renaissance, a rebirth of civic pride. Nobody ever seems to define what they mean by legacy. For the objective-setters, it is about finances, ensuring when the final curtain falls that no loss is bequeathed, a headache like a hang-over. There is an enormous body of evidence justifying the economic benefits of investment in culture. To take one recent example, an independent report published in November “Beyond the Arts: Economic and Wider Impacts of The Lowry and its Programmes” sets out the substantial financial, artistic and social impact on Salford. Culture, however, is about so much more than economics. Surely the legacy of a culturiad should judged against criteria which are primarily cultural. In the short term at least, the enduring impression emblazoned onto the hearts of the audiences who were there will be of satisfaction, pride and joy. The impact of the arts is not ephemeral, not at all transient. The effect of a series of events staged over a full year and which reinforce each other's impact is long-lasting. That is legacy. Because permanence is the hallmark cultural activity, the UK and Europe should not be surprised if and more likely when over a longer time, the inaugural UK City of Culture produces yet another outstanding musician, writer, actor or artist for the world to support – inspired by what has happened in 2013. Already plans are in place for 2014. This will afford opportunities for people who did not get to events in 2013 to visit the city in this New Year. A legacy fund has been created. I read that £2m is coming from the Government Department responsible for the arts, with an extra £450,000 each from Derry City Council and the Arts Council, and with more expected from other Government Departments. Hopefully the private sector will embrace it too. Events planned include a maritime festival, an open air Beach Boys concert, and the unmissable Pan Celtic Festival. Because of Northern Ireland’s obsessive preoccupation with separate cultural identities, legacy resonates in the issue of community relations. Almost without exception, the programme implemented by the Chief Executive of Culture Company 2013 brought people together in the host city. The performers and audiences went about creating and enjoying the events as one artistic community without a scintilla of rancorous sectarianism. The city that has two names showed us that it is one community, and a cultured one at that. Legacy? There you have it.